Our mold remediation process is revolutionary. We utilize our Dry Fog technology to properly remediate mold and ensure the safety of our customers. 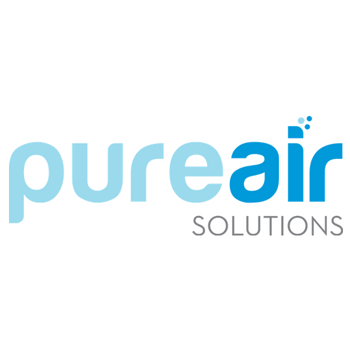 Providing solutions to all your air quality issues. We all hope we never have to deal with mold. Unfortunately, mold related issues can arise and you need to make sure they are properly diagnosed, contained, and removed. When mold is discovered inside ones home it can bring major concerns. Making sure a certified professional eliminates the mold issue is imperative. Many people believe that using Chlorine Bleach will eliminate your mold issue. That is not accurate. Although Chlorine Bleach will eliminate some mold on nonporous surfaces, it can also spread mold spores and will not kill the spores already in the air. Removing only the visible mold from a surface is not a sufficient solution. If you have already detected mold, or think you might have a mold problem, we are here to help. Although mold removal can be a "messy" business, you don't have to make a mess to ensure mold is completely eliminated and removed properly. 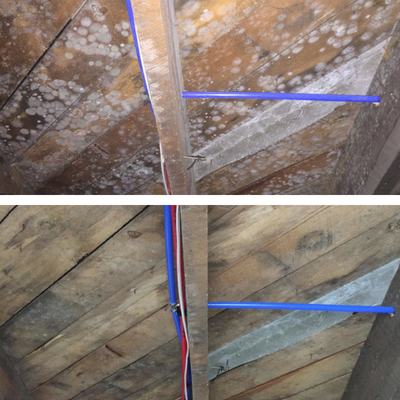 Our Dry Fog Technology allows us to completely remove and remediate your mold issue without causing a mess in the process. Our Dry Fog process will kill all of the spores on the surface of nonporous and porous materials and most importantly kills all the air borne mold spores that can cause health concerns and further mold growth. The technology will let you keep all of your valuables in your home that may have been exposed to mold and guarantee that your materials are sterile without damage. Our goal is to provide you with the most effective and efficient mold remediation process that will give you healthy pure air inside your home. Our Dry Fog Solution is registered with the Environmental Protection Agency and has been used by the Army Corps of Engineers. Wet Fog or Mist - the larger droplets burst and create wet surfaces, like rain. The larger particle size also creates gaps in molecular coverage. Using this type of treatment can just add moisture to a mold colony. Dry Fog- Smaller droplets rebound from surfaces creating a a vapor. The vapor as well as the fumes coming off the 7.5 micron sized particle create and inescapable environment for mold and bacteria. With mold spores being larger in micron size than the Dry Fog, there is no place for mold or bacteria to hide. Must take multiple tests to determine which rooms the counts are elevated in a the time or testing. Only Necessary to determine if there is a problem somewhere in the home. If there is the Dry Fog will take care of it regardless of the location or if it is known or unknown. Quarantine affected areas of the home to smallest possible sections using plastic to cover all openings. Create a negative air pressure environment to prevent the distributed mold from spreading once it is out in the air. Put all necessary gear on including tyvek suits. Ask that people and pets are out of the house for 4-6 hours. Using construction tools, cut out sheet rock and affected building materials. Sand down wood where necessary. Vacuum all dust. Remove affected soft surfaces such as carpet. Seal affected material in a bag and dispose. Set up air scrubbers in quarantined area to remove elevated levels of air born mold spores created during demolition. Leave air scrubbers in the area for up to a week. Fill entire home with Dry Fog Instapure. Fill entire home with Dry Fog antimicrobial Everpure. 1 to 2 weeks. 4 to 5 Hours. Replace sheet rock and soft surfaces. Mud and tape walls. Sand and paint. Wind up hoses after treatment. Test immediately after treatment in the area where the air scrubbers were working. And only guarantee the test. Test anywhere in the home anytime, even months after treatment. Old Tear Out Method $2,500 to $30,000. New Demolition Free Mold Remediation, $.72 Cents per Square Foot of your home. When it comes to the health and safety of others, there should be no cutting corners. Make sure to do your research, ask important questions, and hire the mold removal professional that you feel most comfortable. We always strive to be the most professional and cost effective mold removal service in the marketplace. We will be there to find a solution to any mold issues that you may have.